Story: Beefy-A bone in cut from the VZ meat locker. The Beefy goggle will convert even the most die-hard vegetarian into a carnivore. The wide field of vision creates a savory fillet of goggle au jous that is slow cooked to perfection. Thermo-polyurethane frame remains flexible in even the coldest conditions. Anti-fog coated cylindrical lens for crystal clear vision. Wide peripheral vision 100% UV protection. Moisture wicking, fleece lined, quad density, oversized face foam. Detachable strap tearoff pin clip. Dual-adjustable, silicone lined strap. Distraction free clear tear off posts. All color schemes include a bonus clear lens. Great product. I use these goggles racing supermoto and they work great. I really like the different selection of styles and colors. Great job Vonzipper! 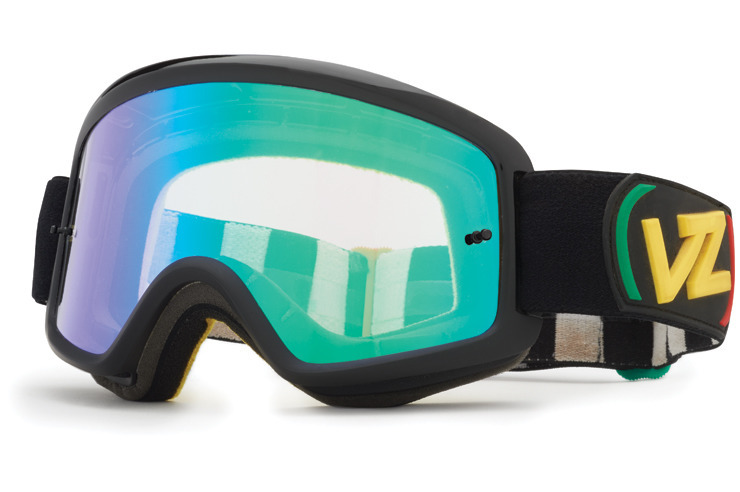 I have really enjoyed these goggles the fit my face great and are super comfortable by the way they look rad!